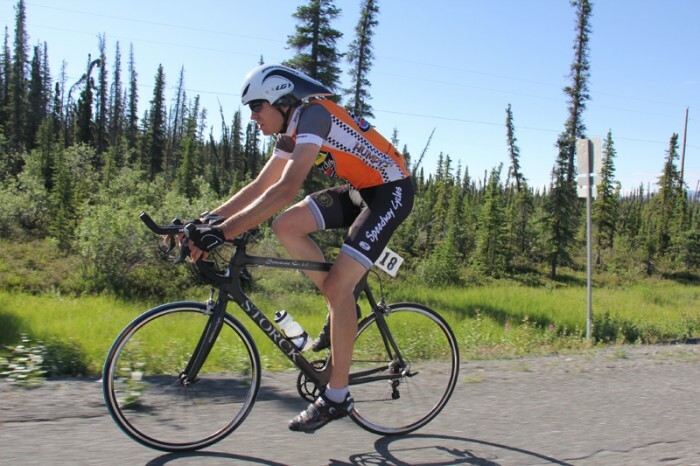 The weekend of July 12-14th was the infamous Fireweed 400 bicycle race. It is the Tour de France of Alaska. It has been hosted for the last 10 years and it is an event that draws a large crowd of bicycling enthusiasts. The event is great because it caters to everyone. There are events for people that want to be a part of the race as a recreational rider or there are events for people that want to be competitive. It is a weekend full of fun! The events that are available include a 50, 100, 200, and 400 mile event. You can do these events individually, as a relay, or even tandem. The fireweed is held outside of Anchorage, in the Mat-Su valley. The race starts at Sheep Mountain Lodge, which is a family owned lodge along the highway toward Glenallen. Depending on the event that you are participating in, you will start either on Friday or Saturday. Last year was the 1st year that I participated in the 100 mile solo. This year I decided to do the 200 mile solo. Although, that may seem like a long distance, which it is, I felt confident and excited to do the race! The race format used to be held as a mass race in that there was a peleton which means that riders could draft off of other riders and work together. Then, unfortunately, a couple years back, the fireweed had a death of a participant while in the race. Since then, the race has been formatted as a time trial which means that you cannot draft off of other riders and must keep at a minimum 3 bike lengths from other riders. You may however, ride next to other riders. At the start of the race we were alerted to construction on the road in the town of Glenallen about 60-75miles into the race. 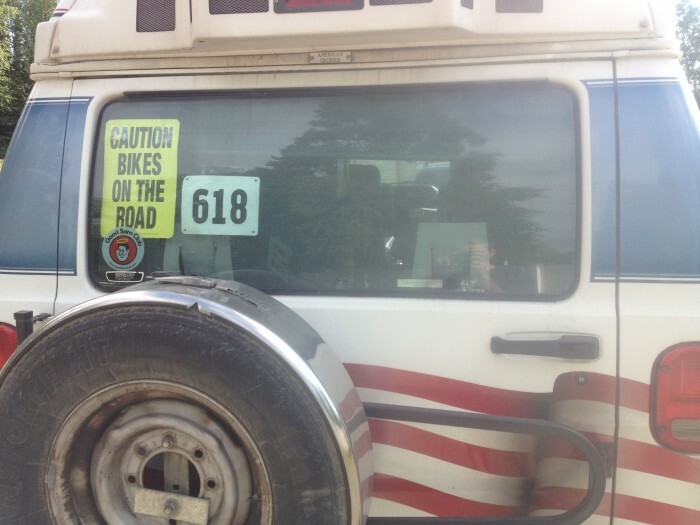 We were instructed by the race organizer, Peter Lekisch to ride in a support vehicle if we had one and ride the entire length of construction, roughly 17 miles. Even-though, several miles of the construction zone had rideable road. I talked to a finisher and winner of the 400 mile time-trail relay team that had just finished, Daniel Folmar. He stated that roughly 10 miles of the 17 miles of construction was good to ride. I decided that if I could ride any segment of it, I would. The weather was perfect for the day! 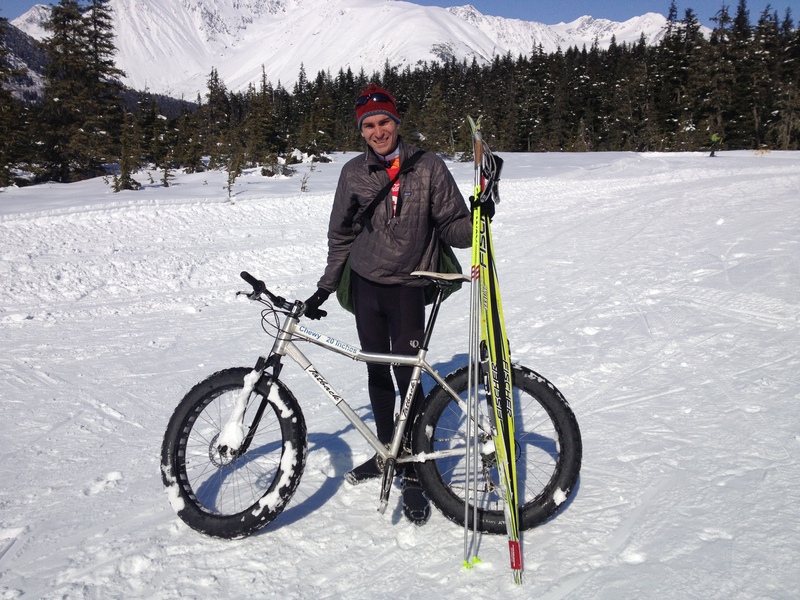 We had moderate temperatures in the morning, followed by clear skis, and sunshine. The race start was at 8:15am, at the start of the race, I was looking around trying to gauge if I knew anyone else that was riding, as the biking community in Anchorage is relatively small. After a small briefing by the race director, the timing officials give us the, “Go!” This is a 200 mile race so everyone slowly pushes off and the course starts with a climb up a moderate hill. My goal was to finish the race ultimately but more specifically, I wanted to finish in less than 10 hours. In order to accomplish this, I would need to average 20mph. I quickly positioned myself in the top three riders, put my head down, and focused on turning the pedals. The 1st quarter of the race has a variety of moderate hills and climbs which separates the group. There are also aid stations throughout the course which have snacks and allow for nice pit stops. This year I was really fortunate to have my dad fly up from Seattle,WA to drive a support vehicle. 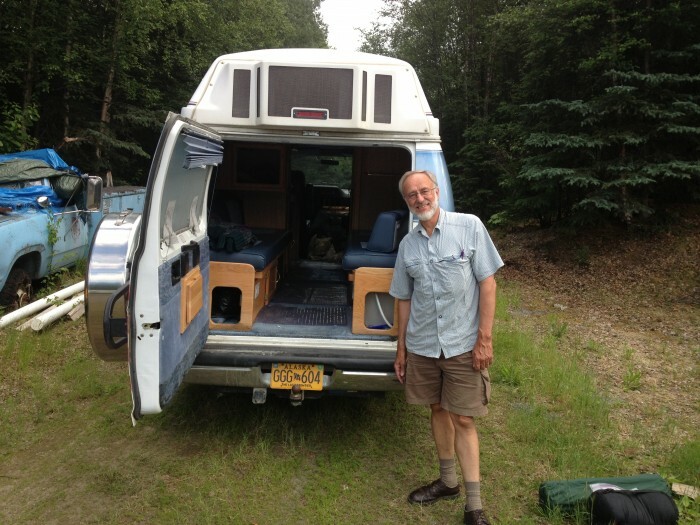 I was also really fortunate to have a good friend, Barclay Roeder lone me his sweet RV. We made an arrangement that in exchange for loaning me his RV, I would have to help him with some household manual labor equivalent to my finishing time in the fireweed. This made for a great motivating factor! A very important aspect of doing endurance events is that you need to stay hydrated and have enough food to keep you going. If you do not emphasize hydration and eating, then your body will become less cooperative when riding. I decided that I would carry one water bottle and would alternate between water bottles and smoothies for food. I also had two peanut butter and honey sandwiches. This worked quite well except that my smoothies were a little thick at times and were hard to get out of the water bottle. My dad and I tried to schedule having my dad pass me a bottle, roughly once an hour on the side of the road. This was my dad’s 1st time passing bottles which was a little challenging at first, but as the race progressed, he would stop at the top of hills, so passing was made easier as I was not moving as fast. The first 3’ish hours were going well as I had no flat tires or other mechanical issues. I got to the first road construction area which was a bridge crossing and got into the RV. After driving across, there was no indication that riders could ride again but the road looked good. I decided to get out and ride again. 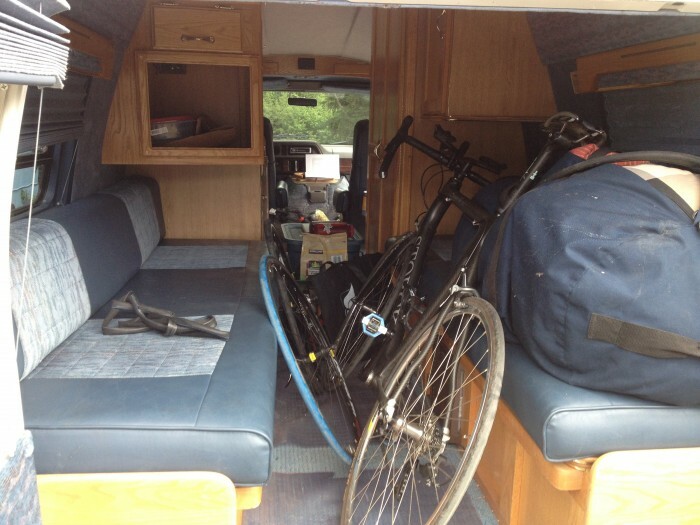 I rode for about 10 miles and then had to get in the RV again to get through the town of Glenallen which had five miles of gravel road. Following the gravel road construction and passing through the town of Glenallen, I was able to get out and start riding. While in the RV, it allowed for a short amount of time to get some food and water down. By this time, it was midday and I was thinking about how much more of a distance I had to go which does not help to focus on. 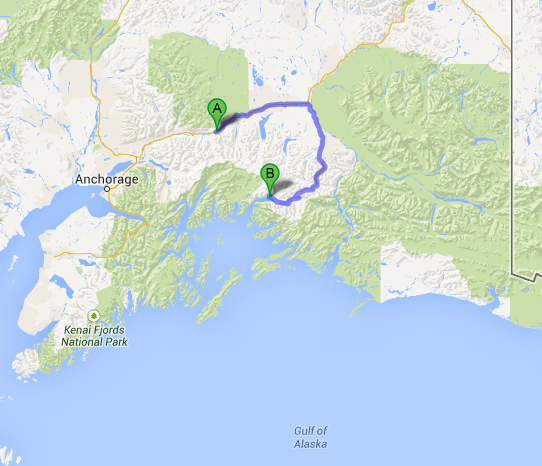 I had driven to Valdez, AK, the finish line for the race and was familiar with the road and terrain ahead. Towards the last quarter of the race, a moderate head wind started to pick-up. 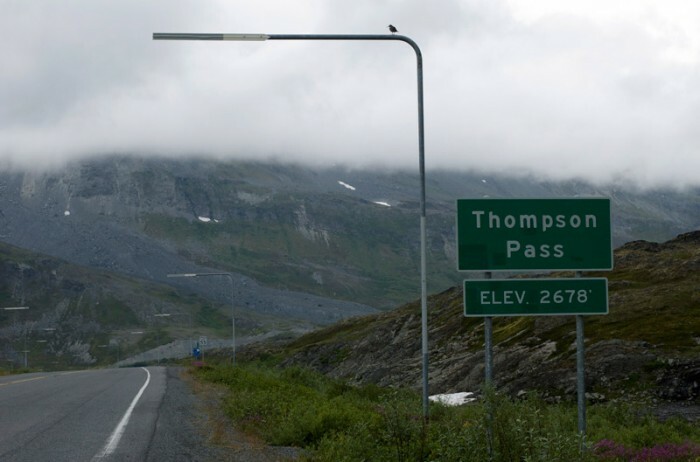 The race climbs into Thompson pass and the wind increased as I climbed into the pass. Once I reached the top, there is a long steady downhill eventually leading to the town of Valdez. The wind was strong enough that I had to pedal going down from the pass. It is always a bummer when you have to pedal while going downhill. Once I reached the bottom of the hill, you are greeted by a sign that says, “Welcome to Valdez City Center 22 miles.” I think, “Well! Only 22 more miles to go.” Whew! Fortunately, at this point the wind had died down to a manageable headwind but still noticeable. I put my head down, tried to get on the time trial bars, and keep one pedal stroke after another. It is important to look at the scenery while doing the race because you go through beautiful country. Although, I often focused on the asphalt and where my front wheel was in relationship, trying to avoid potholes and cracks. Outside of Valdez is Keystone canyon, which has world class ice climbing in the winter on huge frozen water falls and the Lowe River, intertwines with the hwy which has some noticeable rapids. I recall biking by and taken note of some sweet looking whitewater holes. The final five to ten miles is flat and you have a long field of view. At this point, I am really tired and visualize how awesome crossing the finish line will be, so I can be done. The finish line is roughly 1000 feet from the main highway and you make a sharp 90 degree right-hand turn. I manage to finish with a strong effort and am glad to get off the bike. I ended up with 2nd overall with a time of 10 hours 17 minutes. It was a great day, with great weather, and a lot of support. It is important to recognize all the competitors; regardless of distance or finishing time as finishing in any discipline is a great accomplishment! My day went a lot smoother with the help of my dad driving support, Barclay for lending me his RV, Chet Fehrmann for borrowing some extra water bottles, and Peter Haeussler for his T.T. bars and helmet. Thanks for all the support!